For her constant devotion to student growth in all aspects of their career trajectories, while providing an open-minded dynamic within the classroom promoting collaboration and an enthusiasm for inclusivity. For the passion, enthusiasm, motivation and energy that he brings to the classroom, his innovative approaches to distance and cooperative learning, and his dedicated commitment to students in and outside the classroom. For his leadership and guidance in forming revolutionary paradigms in polymer science by establishing a bold and multifaceted research program at never-before-seen levels. For his pioneering and unrivaled efforts in the development and application of laser-based manufacturing and materials processing, leading to monumental improvements in productivity and significant reductions in costs. For his widespread efforts to promote interest in space, through the Indiana Space Grant Consortium, as well as STEM education at the K-12, university and more broadly, a societal level. For her formative role in the development and nurturing of junior faculty members across the College, as well as serving as a model of mutual respect, community building, and sound counsel for staff and students. For his professional guidance in engaging students to become globally competent by developing lifelong learning skills, improving their ability to make ethical decisions and functioning on a diverse team. 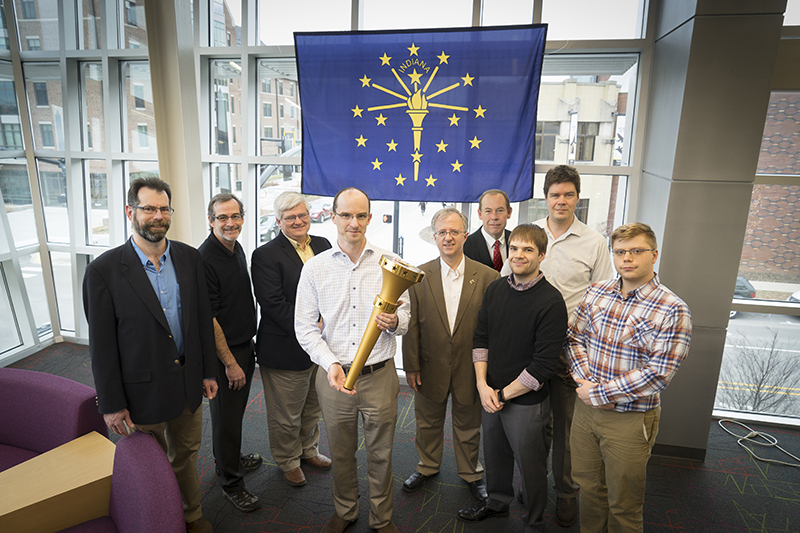 For their superb project management and technical contributions creating a lasting symbol, the bicentennial torch, which served as a centerpiece for student education and the State of Indiana's bicentennial celebrations.